No. 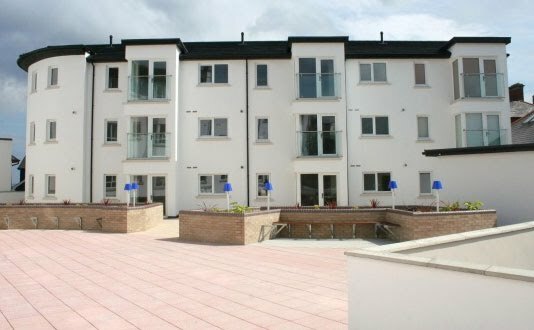 14 Peninsula Apartments is a centrally located self catering apartment in a modern apartment block located in the centre of Portrush, Co. Antrim. The apartment is within a short walk of the Royal Portrush Golf Club, the home of the Irish Open 2012 & The Open 2019, great beaches, restaurants, children's play areas and shops. Portrush is Northern Irelands' premier and favourite holiday resort on the North Antrim Causeway Coast with two great beaches on your doorstep and an abundance of tourist attractions and picturesque scenery ideal for walking, surfing, golf and other outdoor pursuits. Portrush has numerous restaurants, cafes, shops and bars all a short stroll away. The popular eatery of 55 North is only seconds away, just across the street. Portrush is renowned for not only its great beaches but also the famous links golf course of Royal Portrush Golf Club, backing onto East Strand and overlooking the Atlantic Ocean. Portrush is a short distance to the world famous Giant's Causeway and Bushmills Distillery as well as other top tourist attractions such as Dunluce Castle and numerous beautiful beaches and harbours, including White Park Bay, Port Ballintrae and Port Ballintoy. Browse through the site for details on availability, gallery images and if you'd like to know more then please use the Contact Form to get in touch.